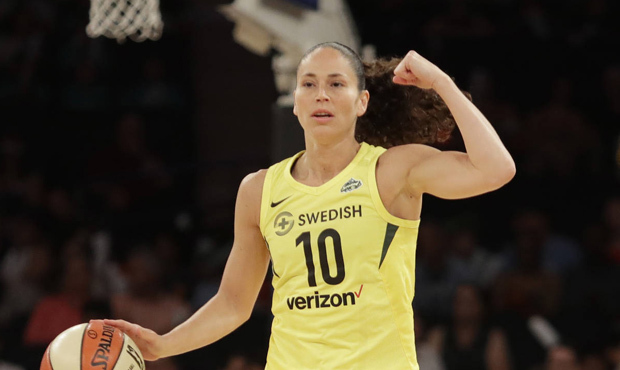 Now 16 seasons into a legendary career with the Seattle Storm, Sue Bird has plenty of memorable moments she can look back on. But two of the biggest might end up coming out of this month. With the Storm leading 2-0 in their WNBA Finals series and needing just one more win to clinch the franchise’s third championship, Bird joined 710 ESPN Seattle’s Danny, Dave and Moore on Tuesday. Chief among the topics to discuss with Bird was her instantly legendary fourth-quarter performance in which she scored 14 of her 22 points to send the Storm past the Phoenix Mercury and to the finals. “I think when it’s all said and done for me in my career, assuming that we finish what we started here, I think that’s gonna rank very, very high on my most memorable moments,” Bird said. But then again, if the Storm can finish off the Washington Mystics – something they’ll have a chance to do in Game 3 at 5 p.m. Wednesday – that moment may be surpassed by another one. Because while winning two titles already with the Storm is pretty cool, winning a third after Bird stuck around to see a rebuild through might be ever better. “In some ways it’s difficult to talk about just because we’re still in this run,” Bird said when asked about the experience of this season. “We’re still on this hunt for this championship, but if I step outside for a second and just look regardless of winning a ring or not, if I just look at this season, where we are, the chance that we have right now, it really means everything. Being in this franchise from my Day 1 … for me to kind of see all of it through, being part of what was a build-up, getting to the pinnacle – which is winning championships – only to have to start over, but now we have a chance to do it again – in one place?